Waco's most entrenched local coffee shop is a favorite among Baylor students as well as anyone who enjoys a cup of coffee, tea or specialty beverage and conversation with a friend or friends in a relaxed setting. 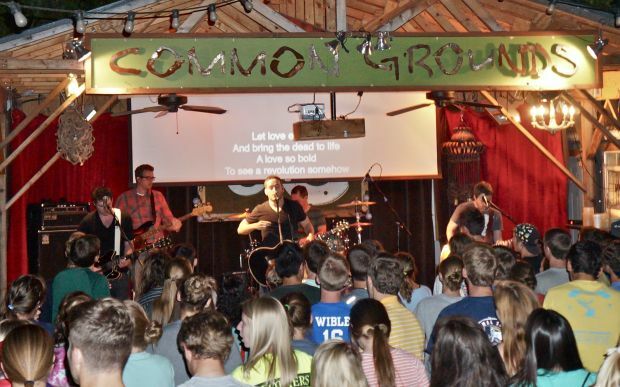 In addition to great coffee, Common Grounds is one of Waco's most popular intimate concert venues. As of September, Common Grounds also features the Mexican food stylings of El Crucero at the Crucero Taco Truck, which is open for breakfast and dinner. I still miss the stars on the ceiling! You know somewhere's had an impact on your life when you want to copy their decor in your own house. The second I have a ceiling worthy of adding glittery gold stars, it's ON. The stars are no longer there and they've had several major remodels and additions since I've started going to CG, but it's still a good local coffeehouse and thus, a place for the friendly geeks of Baylor to gather. I met quite a few friends sitting at CG with my homework. Don't fear the hipsters. CG attracts a little bit of everyone from dear ol' BU. Shows at CG were usually enjoyable, too--especially if you're into local/indie acts. As much as the backyard stage was an improvement, though, sometimes I miss the intimacy (and heckling opportunities!) of concerts held inside where the creamer stand is now. I know, I know. Fifteen miles, uphill, both ways, etc. Get off my lawn--err, "green space!"  The bad bits about CG? Well, the parking is miserable, but that didn't matter when it was a matter of walking a couple blocks to get there. As an alumna, though, I have nightmares about that gravel lot, which has been shrunken into an awkward L-shape to accommodate the large stage out back. Sometimes it gets a bit overcrowded and the line goes out the door. Freshmen sure tend to hum-haw about with their drink orders before they get familiar with the menu, which can be frustrating if you're in a hurry. Perhaps that's the time to order a simple Cowboy Coffee instead of a more complicated order just for the line's sake. The Cowboy Coffee is quite good. I must admit that I don't have the sweet tooth that I used to, so instead of a large frozen Irish Stew with no sprinkles, my usual has switched to tea. 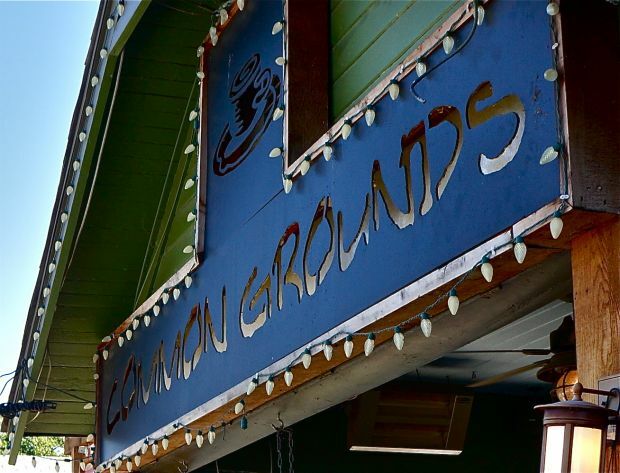 The good part is that Common Grounds has one of the most expansive coffee shop menus in town, so there's plenty to pick from. While this place is very popular with Baylor students (and recent grads), I think it might be a little too "young" for anyone over 30 or *gasp* 40. The atmosphere is "Christian hipster," but not really welcoming to older or younger people. (I saw a mother with two small children come in once. Although they were very well behaved, it seemed to make the staff, and most of the clientele, pretty uncomfortable.) So, I guess this is one just for the college and 20-something crowd. The drinks are just average, so it's not a must-stop for anyone outside that demographic. We have nothing in "Common"
The parking is terrible but it is a trendy Baylor hangout. It's almost always packed so it is hard to get your order taken sometimes. There are concerts there too for hipster indie bands and Christian singers, etc. It's funny that I read the first review of this place and what was listed as favorable in that review is exactly what I don't like about Common Grounds. The shop is filled with Baylor faux hipsters (the real hipsters are down in Austin), who are there to see and be seen, which is fine, not what I'm looking for in a coffee shop. I don't want to drink any over priced, over sugared drink, of which there are many to choose from here (they know their market), so I haven't been going to Common Grounds all that frequently. However, I recently heard that they have switched to Cuvee for their espresso and would be switching to some of Cuvee's offerings for the brewed coffees as well. Now anyone that knows coffee in Texas should be familiar with Cuvee, who is the big dog of the high end roasters in Texas. I think their Meritage espresso can hold it's own next to Intelligentsia, Counter Culture, Verve, etc. So, I went down there last week to try a cappuccino. While the drink was better than it has ever been at Common Grounds before, it still wasn't where it should be considering they are using a premier roaster. The foam was too loose and simply piled on top of the drink. As long as they are staffed by baristas (if they can even call themselves that), that are more concerned about their ironic t-shirts, cool tattoos, and bandanas, than they are coffee, they aren't going to be able to take that next step and make truly great coffee. I am hopeful however, that they may indeed put forth more effort now that they are serving Cuvee...and at least there's a place in town that I can buy some espresso for home when I run out.